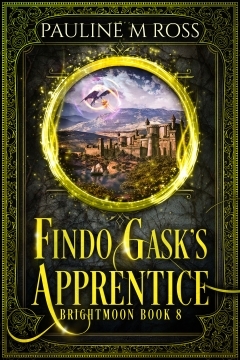 Findo Gask’s Apprentice is the eighth book set in the Brightmoon world. It’s a new, stand-alone story, following a former slave coming to terms with his new freedom. And because this is a Brightmoon book, he has a very unusual talent, and so does his apprentice… Plenty of action, magic, dramatic escapes and confrontations – and one very stroppy dragon! After thirty years as a slave, Findo Gask is struggling to adjust to his new freedom. Unfortunately, following orders is an old habit, which is how he ends up with an apprentice he doesn’t want … and how he ends up working under the demanding Crown Princess of Caxangur, just like a slave again. Hopper is an unusual apprentice, and Findo is keeping secrets too–his exceptional skill as a woodworker isn’t just elbow grease and experience. When a cryptic world-shattering prophecy seems to point right at them, their magic becomes the target of warring political factions. And just when Findo thinks life can’t get any more complicated, he accidentally hatches a dragon, which hasn’t happened in millennia. As the chains and bars start closing in on him all over again, Findo needs to free himself once and for all. If he can’t stop thinking like a slave and learn to carve his own path, he and Hopper will never make it out of Caxangur alive. 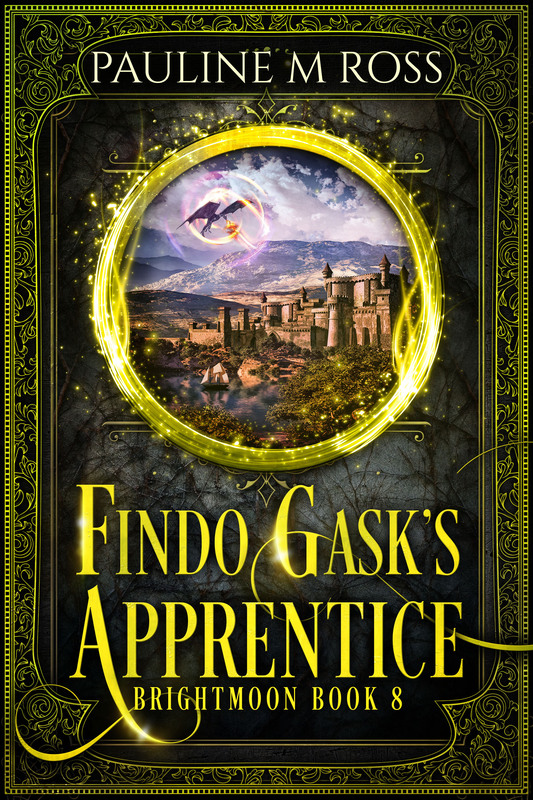 Findo Gask’s Apprentice is written by Pauline M Ross, with a cover design by Deranged Doctor Designs and proofreading by Coinlea Services.